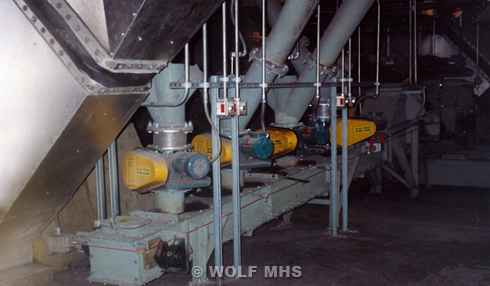 Wolf Material Handling Systems has provided complete engineered material handling systems and equipment for ash. Wolf has provided complete systems from gas-tight hot ash conveyors, water cooled ash screw, submerged ash conveyors, metal separation, fly ash storage, conditioning, mixing, and truck load out. Wolf understands the unique challenges required to handle ash, and takes complete design and supply responsibility of the material handling system. Wolf offers a Performance Guarantee on each system design.